Learn about our guided visits to the Alhambra, the Cathedral and the Royal Chapel. All the information below. 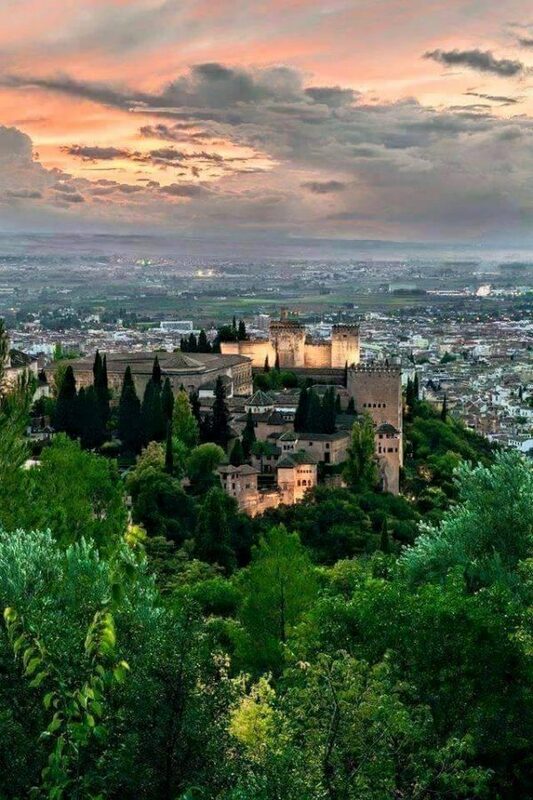 The Alhambra is a Monumental Ensemble created over more than six hundred years by cultures as diverse as the Muslim, the Renaissance or the romantic. The cultural offer of the Monumental Complex of the Alhambra and the Generalife is wide and varied. You will be able to see the Alhambra by day, general daytime entrance, with an option to enter for the morning or afternoon, and you can also see it at night, for which you must purchase the night ticket. If you want to visit the gardens, there is the possibility of acquiring an entrance that allows you to visit only the main gardens of the Monument, including the Generalife Palace. You can also visit the Museum of the Alhambra and the Palace of Carlos V for free. Guided visits to the Alhambra in Granada: If you want to visit the Alhambra with an official guide you DO NOT NEED TO BUY THE TICKETS, since this type of guided tour INCLUDES: Tickets + Official Guide. For the collection of your tickets purchased in advance, you must take into account the following: You can collect your ticket, only during the box office hours, from the moment of your purchase. The authorized person will have to present his ID card / passport. If the authorized person is different from the one who is going to withdraw the tickets, you will also need to present an authorization that allows you to withdraw the tickets in your name. The Cathedral of Granada shows impressive facades and a magnificent interior with a great altarpiece and several chapels. 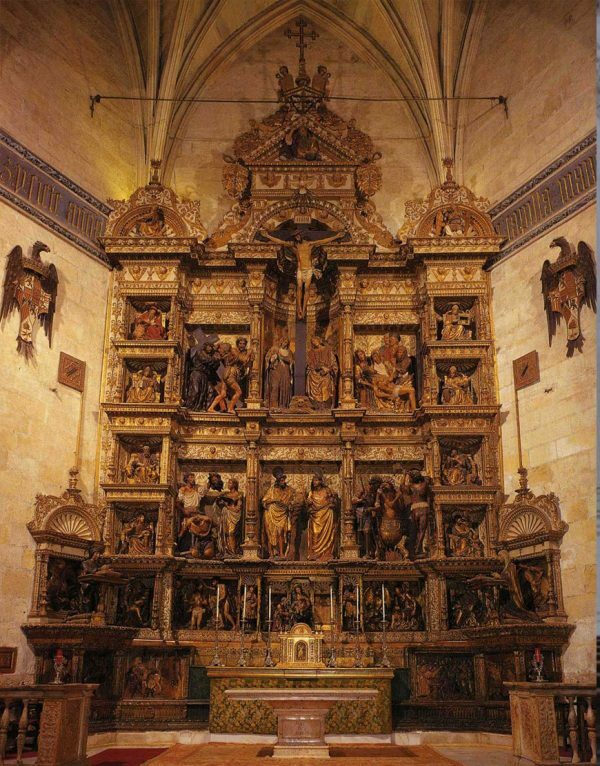 In its sepulchral chamber are the tombs of the Catholic Monarchs. Price of the tickets of the Cathedral of Granada: General admission: € 5.00 / Children under 10 years old and disabled: free admission / Groups over 65 years old (with the request of the organizer by fax): € 2.50 / Groups of EU students (if requested by the center by fax): € 2.50 / Groups of Spanish students (if requested by the center director by fax): € 1.50 (November, December, January and February); rest of the year: € 2.50 / Groups of students from Granada (if requested by the center director): free (November, December, January and February); € 1.50 (rest of the year). 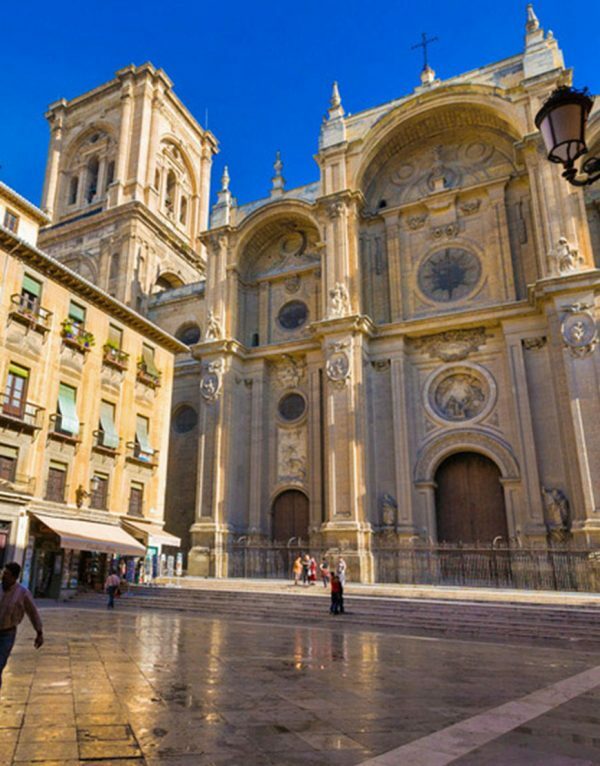 Hours of the Cathedral of Granada: March - August: Monday - Saturday: 10: 45-13: 30, 16: 00-20: 00 h Sundays and holidays: 16: 00-20: 00 h September - February: Monday - Saturday : 10: 45-13: 30, 16: 00-19: 00 h Sundays and holidays: 4:00 p.m. - 7:00 p.m.
Where to buy tickets? 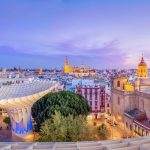 : You can buy tickets to the Cathedral of Granada directly at the monument's box office or you can also buy a guided tour of Granada Cathedral and Royal Chapel. Dª Isabel and D. Fernando decided on September 13, 1504 that their remains would be received in Granada; For this purpose, they created the Royal Chapel by Royal Decree. Built in Gothic between 1505 and 1517 and dedicated to Santos Juanes, the Baptist and the Evangelist. Price of the tickets of the Royal Chapel: General admission: € 5.00 / Children under 10 years of age and disabled: free admission / Groups over 65 years of age (with the request of the organizer by fax): € 2.50 / Groups of students of the EU (if requested by the center by fax): € 2.50 / Groups of Spanish students (if requested by the center director by fax): € 1.50 (November, December, January and February); rest of the year: € 2.50 / Groups of students from Granada (if requested by the center director): free (November, December, January and February); € 1.50 (rest of the year). Royal Chapel Hours: March - August: Monday - Saturday: 10: 15-13: 30, 16: 00-: 19: 30 h Sundays and holidays: 11: 00-13: 30, 4: 00-19: 30 h September - February: Monday - Saturday: 10: 15-13: 30 and 15: 30-18: 30 Sundays and holidays: 11: 00-13: 30 and 15: 30-18: 30h. Where to buy tickets? : You can buy tickets to the Royal Chapel directly at the ticket office or you can also buy a guided tour.